Each day as I walk around the city I see thousands of commuters. Each telling a similar, yet very unique story. I think they are a great reportage subject and I’ve decided to post a daily commuter to my blog. 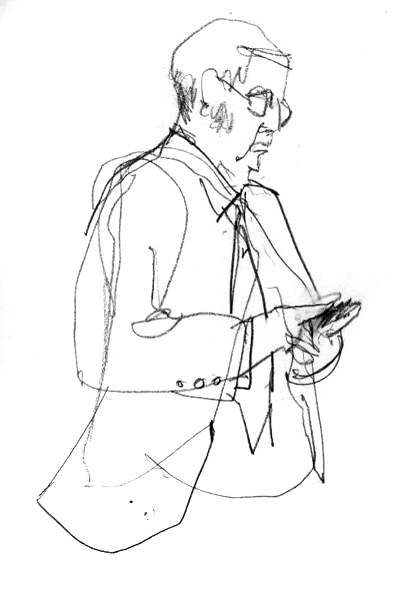 My first entry is a drawing of an older, heavy set man feverishly tapping away at his Blackberry. I thought it was great to see someone who existed in a world before computers embracing technology. Enjoy, and stay tuned for commuter #2.